There's been some confusion about the way mineral makeup is measured and sold. We'd like to take a minute to clear it up. A little math lesson will help. Grams are always a measure of weight. Milliliters measure volume. 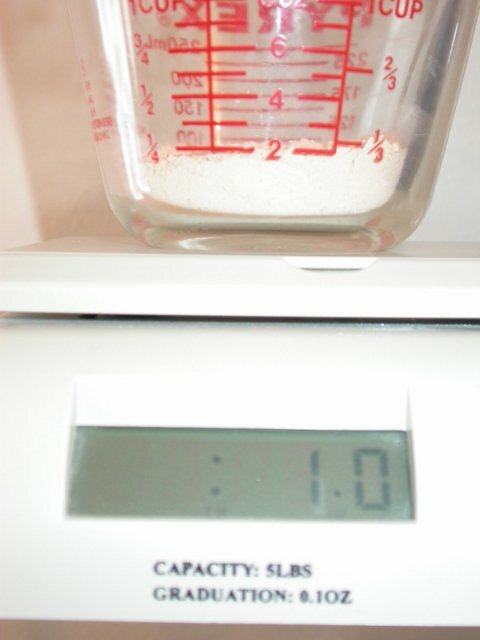 Ounces are a measure of weight, and fluid ounces are a measure of volume. Unfortunately, people often call fluid ounces just ounces, and this is where some of the confusion comes in. Mineral makeup should never be measured in volume because it is a dry powder. Giving a volume measurement would be mathematically incorrect. For instance, if you filled a kitchen measuring cup up to the two ounce line with mineral makeup, the weight is only about 1 ounce. It would be misleading to sell that as a 2-ounce jar when you're getting about an ounce dry weight. That's the difference between a liquid and a powder. Jar makers often sell their containers based on volume, but filling a 2-fluid-ounce jar with a dry powder doesn't mean they're giving you 2 dry ounces of mineral makeup. Even if jars are sold by weight, it can be misleading. For instance, our 3-gram jars are sold to us as 10-gram jars because most products that would be sold in them would weigh much more than mineral makeup. We would never tell you we are giving you 10 grams of mineral makeup just because it filled up a "10-gram" jar. Weight is everything. It is true that different colors of mineral makeup weigh different amounts. Some minerals weigh more than others. To compensate for that, we hand-fill and weigh every jar, and we often fill our jars with more than the stated amount for the heavier colors. You will never get less, but could get more. We hope this explanation helps you sort out the facts.